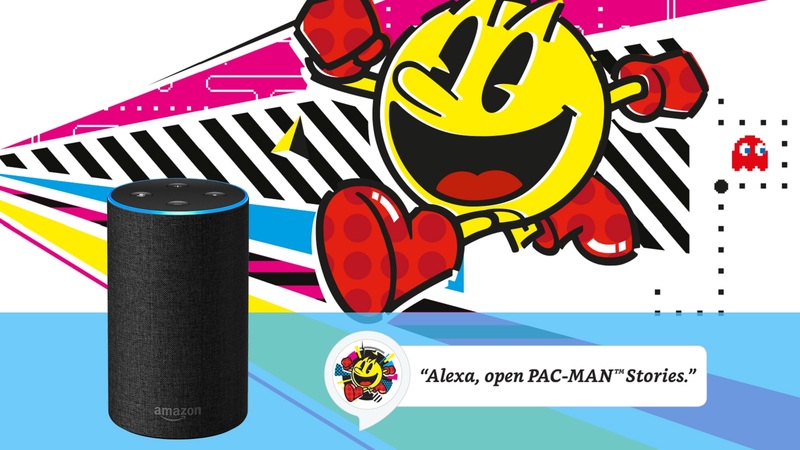 Get ready to muse while you munch as Bandai Namco has announced its new creative venture with Amazon Alexa, a skill for the voice-operated technology known as Pac-Man Stories. The project will create an educational experience that promises to be fun for all ages. PAC-MAN STORIES is the very first announced project from the new BANDAI NAMCO Entertainment Europe Innovation Department, which aims to find and develop new areas and heights in entertainment. “Voice-controlled services are an exciting technology with this great vision of being in everyone’s home and used by any family member. It just seemed natural to us to use our iconic character PAC-MAN™ to create fun interactive stories for all ages together with our company vision to provide dreams, fun, and inspiration to people around the world” said Naoki Katashima, President and COO, BANDAI NAMCO Entertainment Europe. PAC-MAN STORIES is available on all Alexa-enabled devices, including Amazon Echo and Echo Dot, and features several fully interactive stories for the whole family. These stories can be enjoyed by anyone of any age and allows them to engage with PAC-MAN™ and make moral decisions that affect the ending. The first story to launch with the skill for Amazon Alexa is PAC-MAN™ and the Ghastly Garbage, which delivers a fun engaging adventure enabling users to help save PAC-MAN™ planet from garbage and a threat that affects everyone you meet! Along the way, you will make decisions, choose paths, and win Power Pellets based on the decisions you make. The skill features PAC-MAN™ and a range of new characters as well as well-known favorites, including Inky, Blinky, Pinky, and Clyde. PAC-MAN STORIES & PAC-MAN and the Ghastly Garbage will be available in English only on all Alexa-enabled devices in the USA with additional stories added throughout the summer.